We are very excited to announce this year's fabulous sticker! Mayuko Fujino, the artist who designed this year's sticker, is a self-taught papercut artist from Tokyo currently based in New York City. Inspired by Japanese traditional stencil textile designs, she has been practicing her art since 1999 and takes a new approach to paper cutout technique by combining it with used magazine collage and other used/found materials. She is also the host of Play Vertigo, a weekly program on WFMU's Give The Drummer Radio. You can check out more of her artwork here. 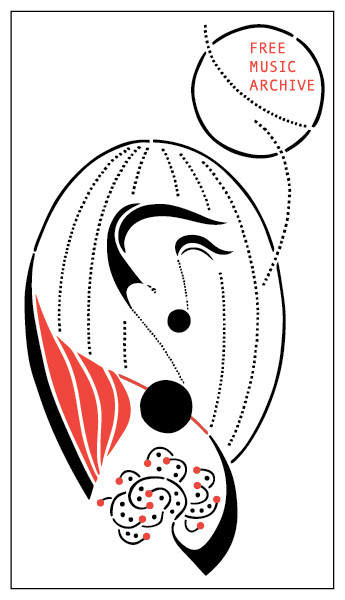 This beautiful sticker incorporates music and movement into its design. Pick one up with a $20 donation today.